While there are many kinds of home repairs that can be done successfully by taking the DIY route, roof repair is not among them. 3JM Exteriors, Inc. lists the reasons why roof repairs are better left to professionals. Professional Repairs Mean Professional Results — The greatest benefit of hiring a professional roofing contractor like us for repairs is that you can count on us to deliver professional results. Recognizing and fixing apparent and potential causes of roofing problems requires training and experience. As an Owens Corning® Platinum Preferred Contractor, each member of our team has received training and certification from one of the leading roofing manufacturers in the country. It’s Safer for You — You’d be putting yourself at risk of injury if you climb the roof without proper safety equipment and training. Our team has both, and we also have workers’ compensation that covers workplace injuries as part of our insurance coverage. We Do It Faster — Our experience, training and manpower lets us finish roof repair work within a specified time. Taking the DIY route can take much longer, which isn’t ideal as you’ll be exposing parts of your roofing system to the elements. For more complex repair work, we can scale up the number of installers to make sure we complete the project on time. It Saves You Money — Every home improvement has some cost associated with it. With DIY roof repairs, you need to purchase replacement materials and tools that you don’t already have, not to mention the gas for transporting them. Also, consider the long term. You will have to spend money out of your own pocket if you need to correct repair errors, perhaps even hiring a professional to do so. On the other hand, you won’t have to worry about these costs when you hire a professional. In the event of problems caused by installation errors, we will correct such problems at no extra cost, as part of our workmanship warranty coverage. It Won’t Void Your Existing Roofing Warranty — If your roof is still within warranty, working with a professional, ideally the same one who installed your roof, helps keep your roofing warranty coverage intact. DIY repairs are considered unauthorized modifications and may void an existing roofing warranty. 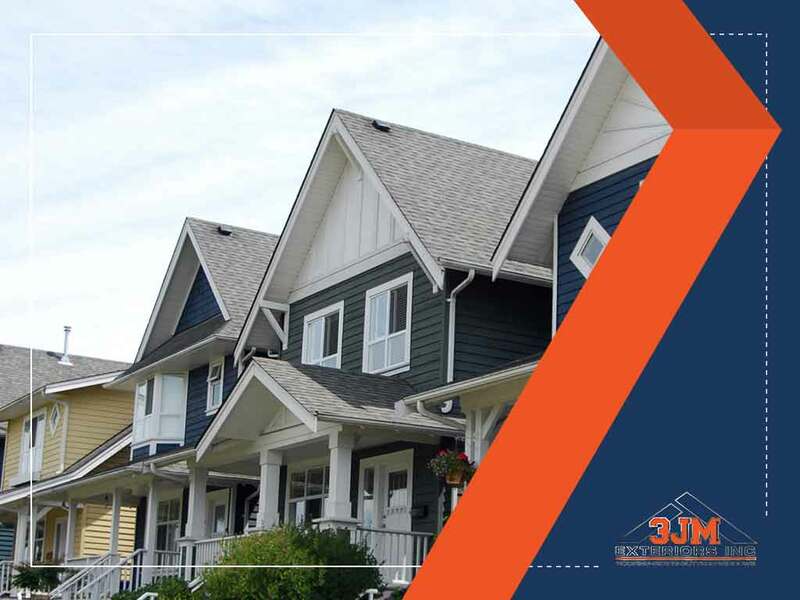 3JM Exteriors, Inc. is your leading provider of roof repair, maintenance and installation services. Give us a call at (630) 882-2422 or fill out our contact form. We serve clients in Barrington, Northbrook and Woodbridge, IL.